His name is Zigzag, Ziggy for short, and he’s true to his name. One of two new arrivals to the Northern Trail, this 18-month-old river otter has been zigging this way and that on land and in water, investigating every inch of his new home, and getting to know Duncan, our resident 17-year-old otter. Duncan and Ziggy swimming together. Photo by Dennis Dow/Woodland Park Zoo. 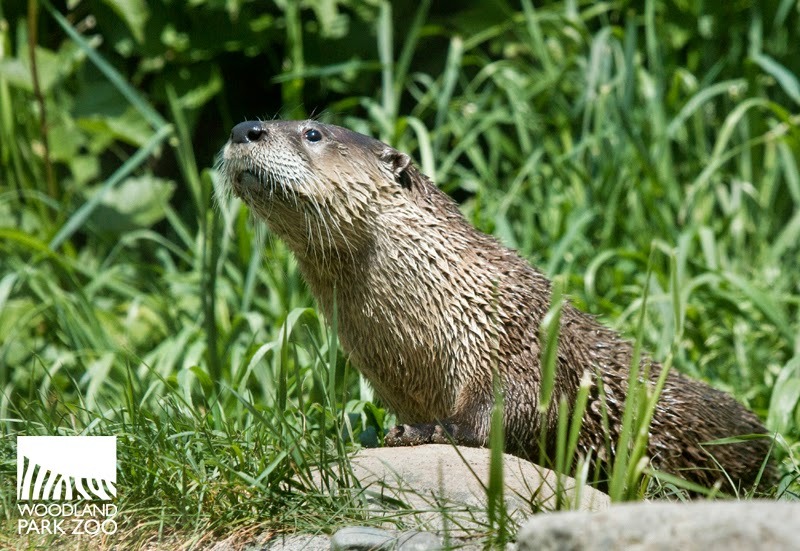 …Valkyrie, a 1-year-old female river otter recently arrived from Pueblo Zoo. She’s tiny yet mighty, according to her keepers. Valkyrie is visibly smaller and more nimble than Duncan and Ziggy, but don’t let her size fool you. She is a cute little otter with a big voice and powerful presence among the group. Valkyrie on the move. Photo by Dennis Dow/Woodland Park Zoo. Ziggy is adventurous and active—named after the river that flows down Mount Hood through Zigzag Canyon—but given his youth and inexperience, he’s more comfortable with Duncan right now. Within two days of meeting, the boys had bonded and were synchronized swimming and wrestling together. We anticipate the introductions between Ziggy and Valkyrie will take a little longer, as a male-female relationship is usually more complex than the one the quick-to-bond bachelor boys have together. As they spend more time with each other, they’ll grow more comfortable as they mature. Valkyrie. Photo by Dennis Dow/Woodland Park Zoo. The two young otters are a recommended breeding pair matched up through the Association of Zoos and Aquariums Species Survival Plan (SSP), a conservation breeding program among accredited zoos to increase the genetic diversity and enhance the health of selected wildlife species. 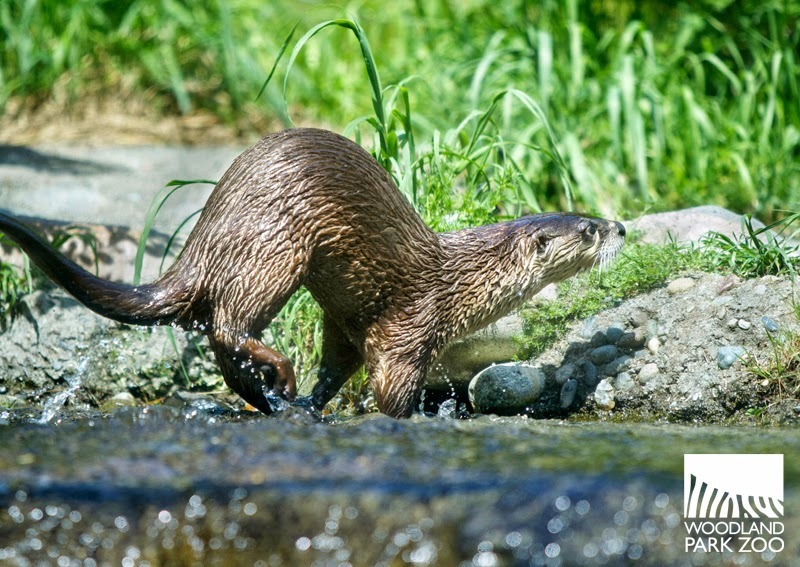 River otters are among the many northwest species we’ll be celebrating at Bear Affair: Living Northwest Conservation presented by Brown Bear Car Wash coming up Sat., June 6. The otters will enjoy a live trout feeding during the event, and the fun continues with bear safety demonstrations—the grizzlies show you what happens when you don’t bear-proof your backyard or campsite—and more. Every time you visit the zoo, you help us conserve local wildlife through our Living Northwest conservation program. Mark your calendar for this extra special reason to visit and stay tuned for more event details! 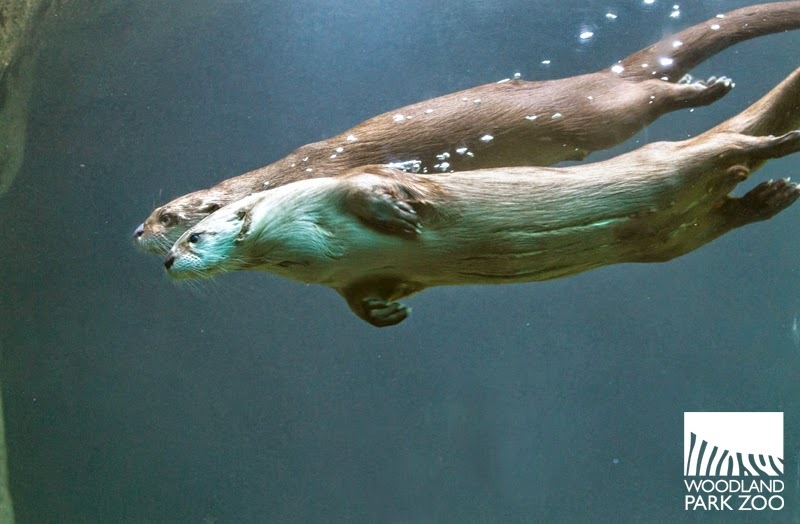 The otter boys are so handsome swimming together! Anyone who hasn't seen them yet really needs to check them out! So cute. Can't believe our little Ziggy is all grown up and out on his own. Seems like no time at all since Tilly was teaching him to swim. Glad to see he is doing well. We'll miss him at the Oregon Zoo. Quiz: Which Northwest animal are you?